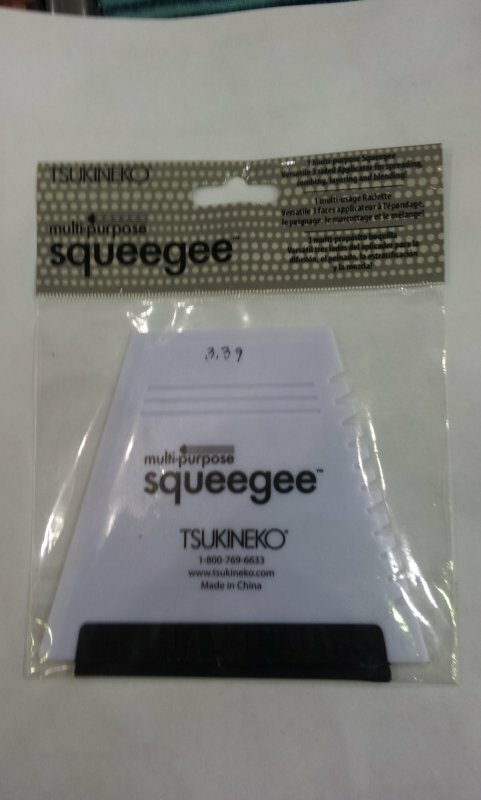 Squeegee -It is a three-edged craft tool for creating custom backgrounds and patterns. Spread it, swirl it, you name it! The rubber edge of the Squeegee provides for even and thin applications, while the Squeegee’s textured edge provides a “tooth” in applications of thicker mediums. It is great for mixed media and can be used with antiquing solutions, paints, stains, dyes, inks, acrylics, gel mediums and liquid adhesives. Use it on paper, fabric, metal, canvas, plastic and many other surfaces.